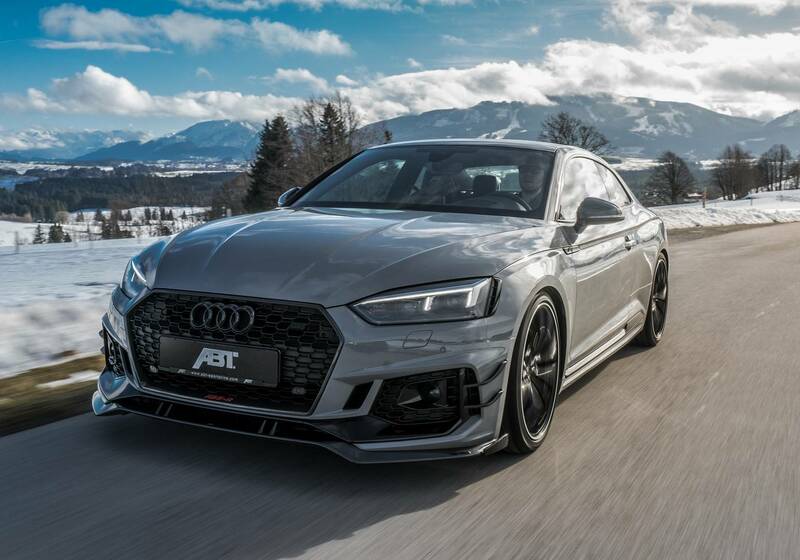 ABT have announced the first of their Geneva Motor Show 2018 show cars. 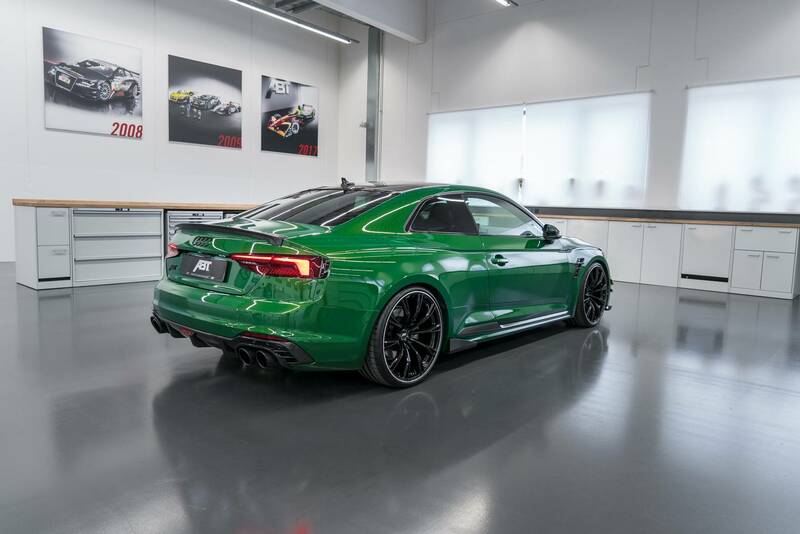 It was inevitable that a second generation ABT Audi RS5-R would emerge following the success of the first. Strictly limited to just 50 copies, it is expected to sell extremely well with modest power updates and a set of visual updates. 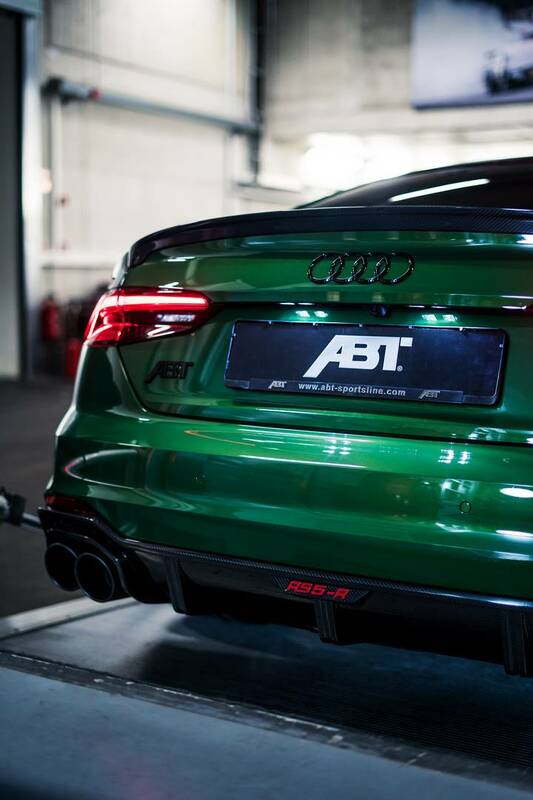 ABT have taken the most potent Audi A5 with its bi-turbo, 2.9 litre V6 power unit. Given it a new ABT Power electronic tune. 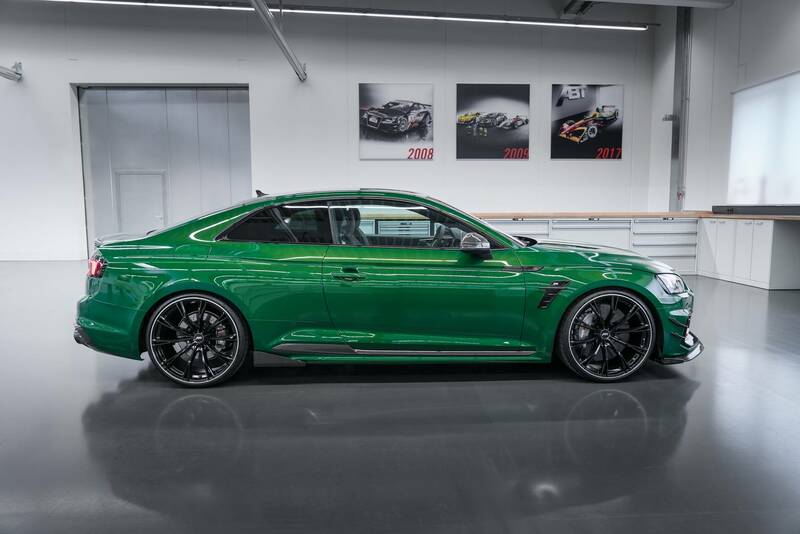 In the process, they have released an additional 80 hp, boosting peak output to 530 hp from 450 hp. 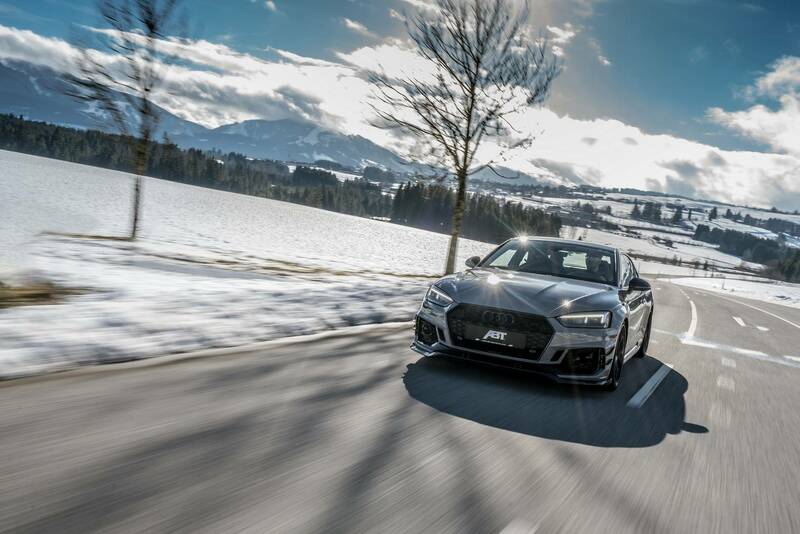 Maximum torque jumps by 15% from 600 Nm to 690 Nm. 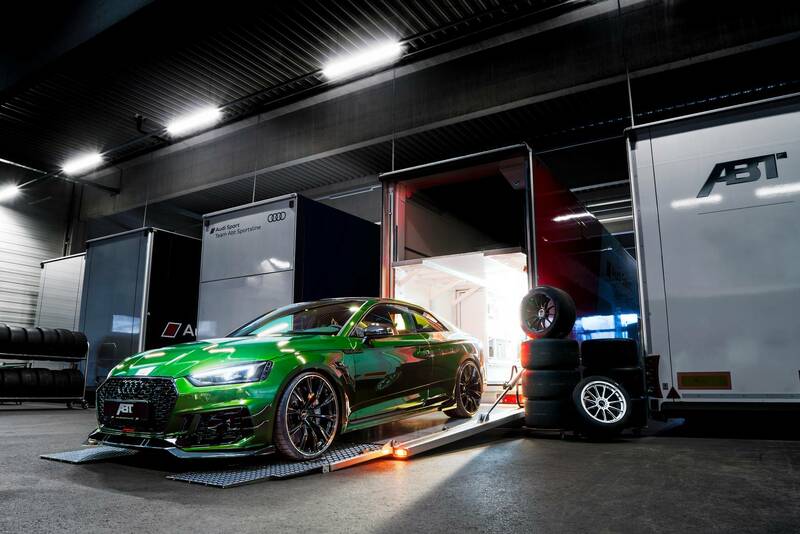 Performance from 0 to 100 km/h now registers at 3.6 seconds compared to a sluggish 3.9 seconds for the serial RS5. 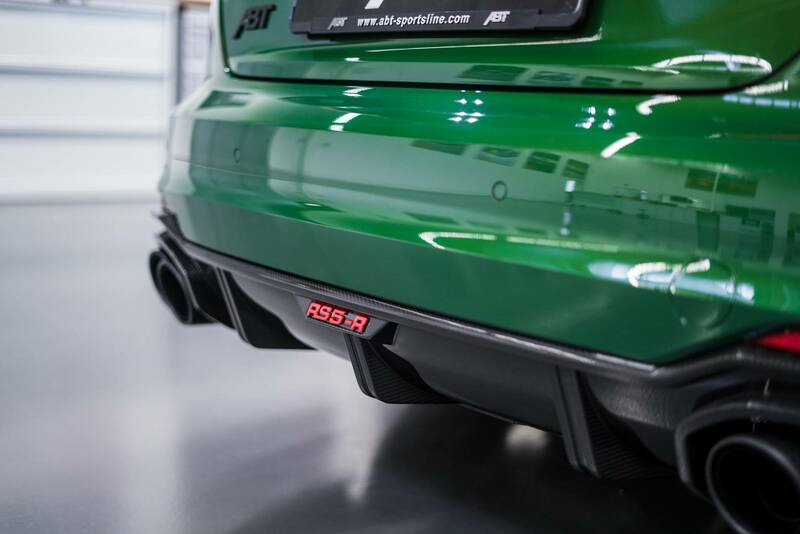 To improve the sound of the V6 an ABT muffler system, incorporating four carbon 102 mm tailpipes, has been fitted. 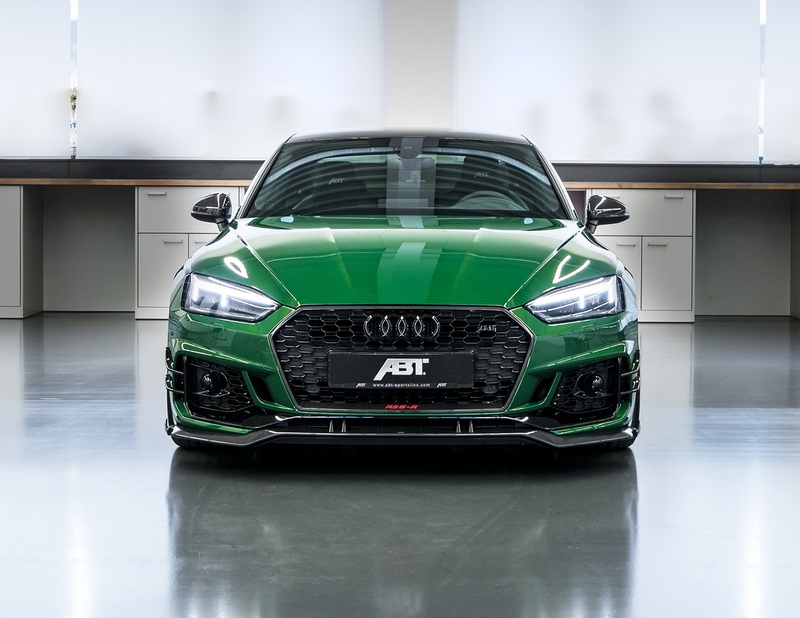 ABT sport stabilizers and ABT height adjustable suspension springs have also been added with a coilover system and a special ABT shock absorber setup. 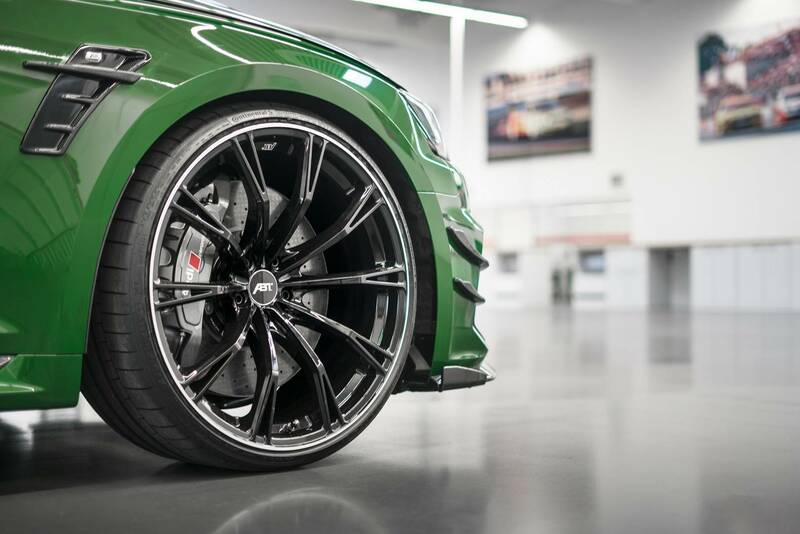 Wheels are ABT Sport GR 21 inch units with 275/25 ZR21 tyres. 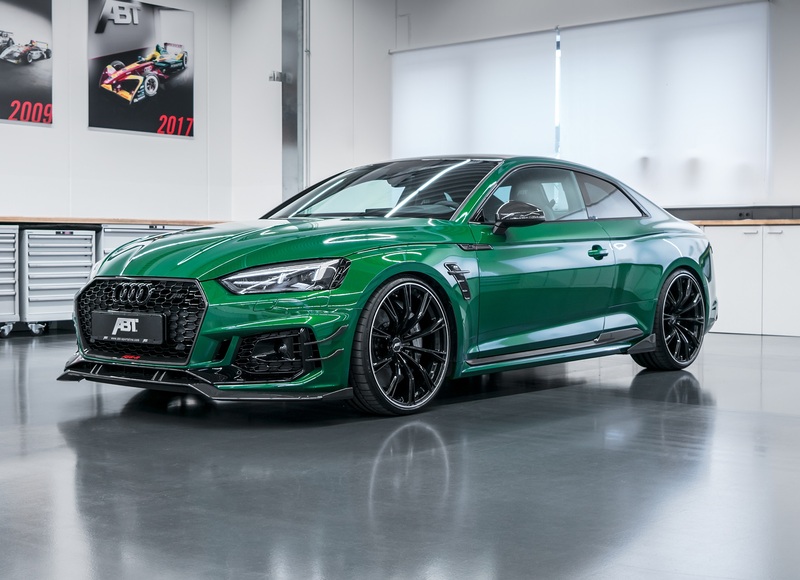 Aerodynamically, the changes are subtle, unlike the body colour! 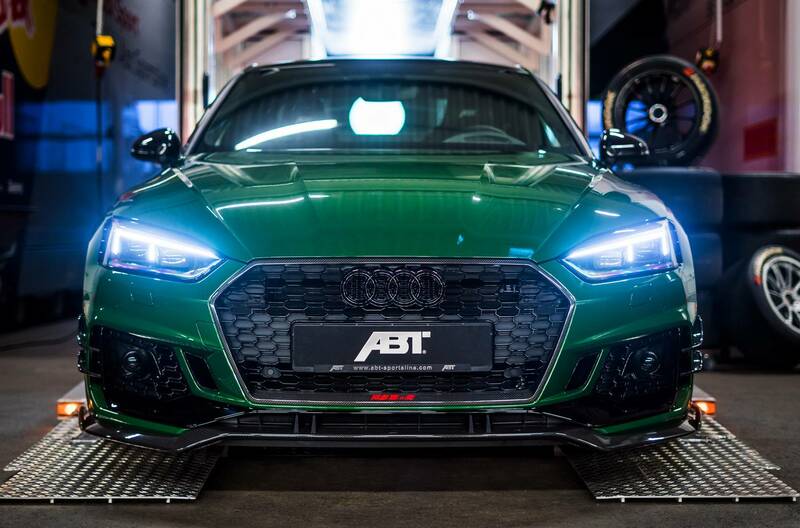 ABT fit a new front lip, front flics and a front grille frame with RS5-R logo. 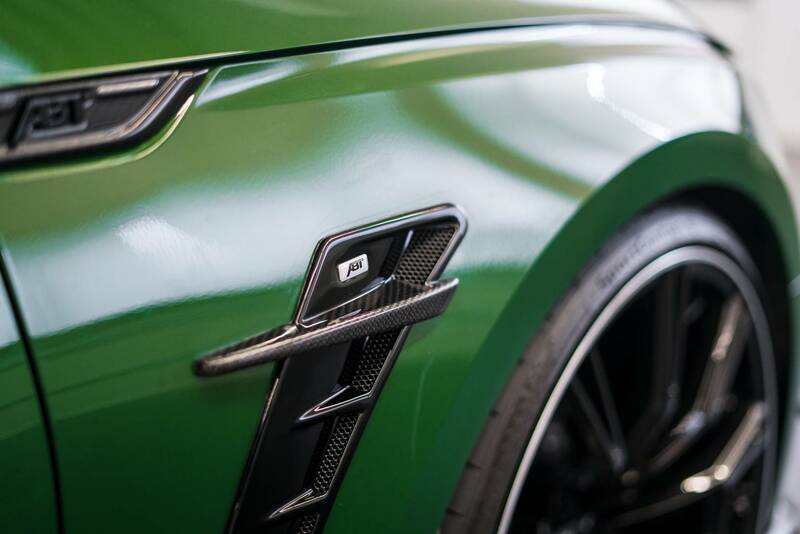 Optional carbon fibre ABT wheel arch vents and a glossy rear skirt finish the look. 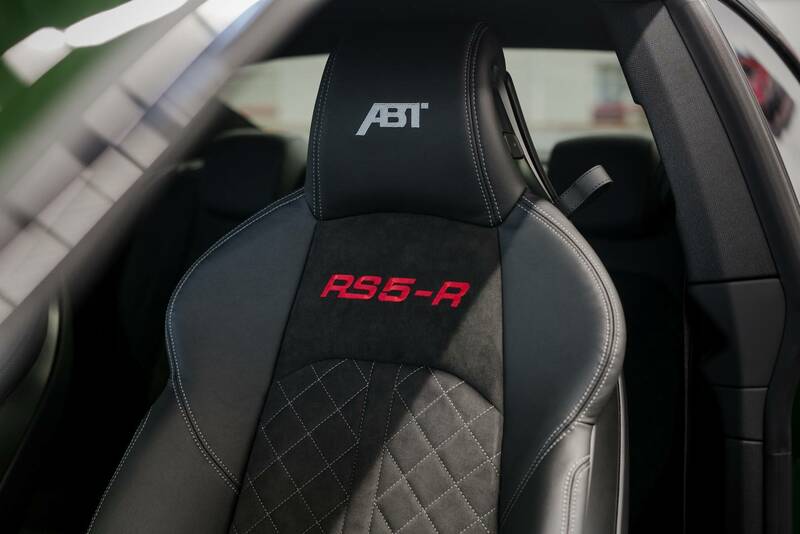 Inside, custom touches include the partial leather seats with RS5-R logo, ABT gear shift cover, ABT RS5-R “1 of 50” badging. 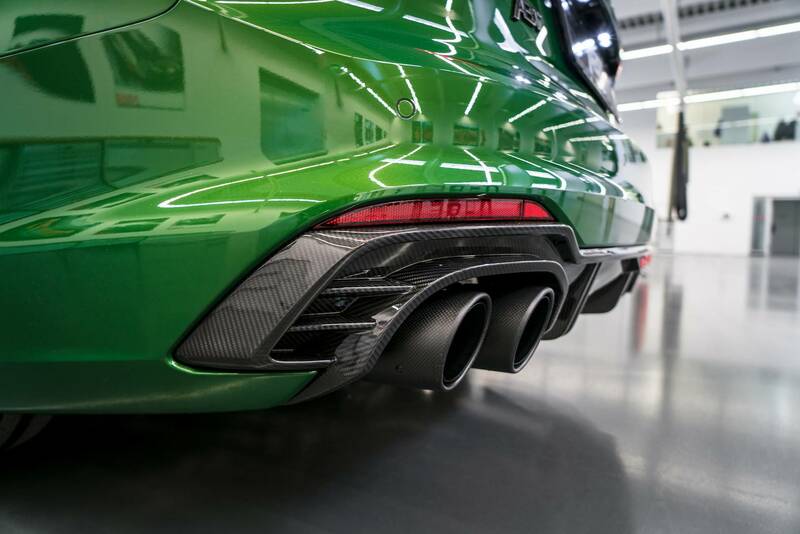 No word on pricing yet but we suspect that each example will be produced at an individual price.